On Ravelry each project has a counter for how many times someone has looked at it. 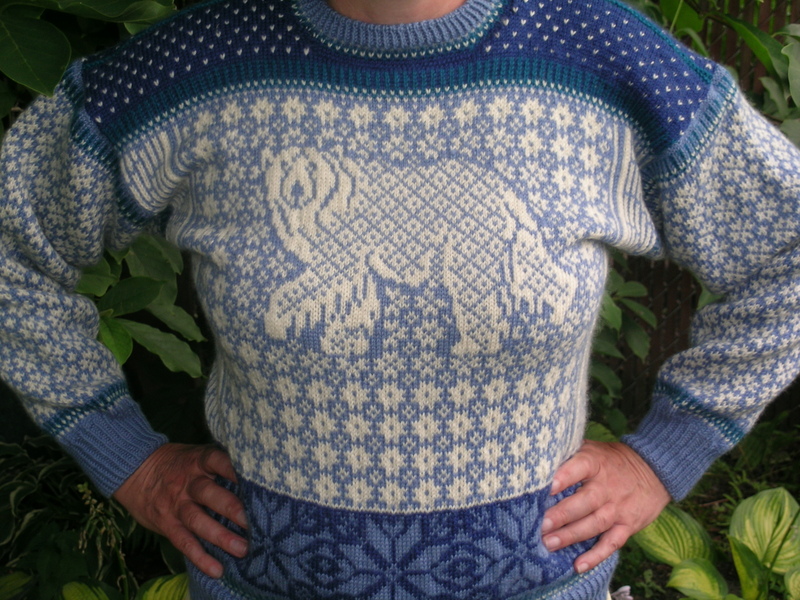 My Polar Bear sweater, finished during Ravelympics 2008 has reached 1000 views, and 85 likes. There are projects out there who have seen many more views, but they tend to appeal to the masses more, this is definitely more of a niche market. And I know that it took years to reach this number, but I am just happy that Ravelry has allowed me to share my knitting with so many people. My family takes it for granted. You can look at past posts here and here to see my progress in just 2 weeks! My jaw dropped looking at this great work and the amount of hours you spent doing it. I hope whoever you made for still has it and is taking very good care of this heirloom. Oh this one I made for myself, and I do appreciate it. Times have changed though, and right now I do not need the extra warmth!